Henna tattoo in Illinois IL 60563, Chicago, Naperville, Aurora, Wheaton, Joliet, Orland Park, Cierco, Arlington heoghts, Schaumburg and neighboring cities. Planning an occasion can be stressful, but it doesn't have to be. 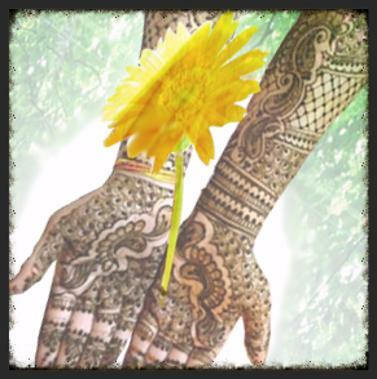 We can help you lighten up the mood by adding a mehndi/ henna art work in your function. which everyone will enjoy for ages and and occasions. We will work with you to equip your palms and souls with the artistic style and design you have always dreamed about. With our help, you can focus on the things that matter, like spending time with your family and friends during this momentous occasion.